What’s a hip and happenin’ way to appeal to the prime target of your stock photo service? Turn them into an ironic hipster action figure. 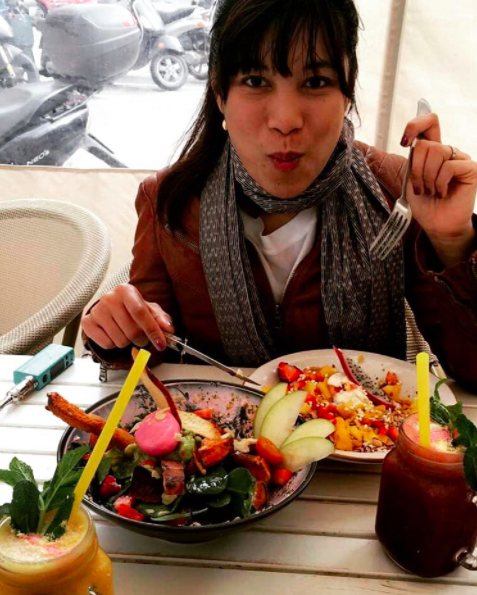 With help from Achtung! 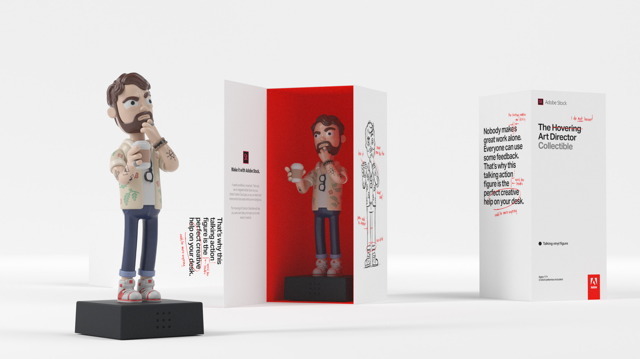 mcgarrybowen in Amsterdam, Adobe Stock created what it’s labeled “the ultimate designer toy for the ad industry.” Which turns out to be a talking “Hovering Art Director” action figure. 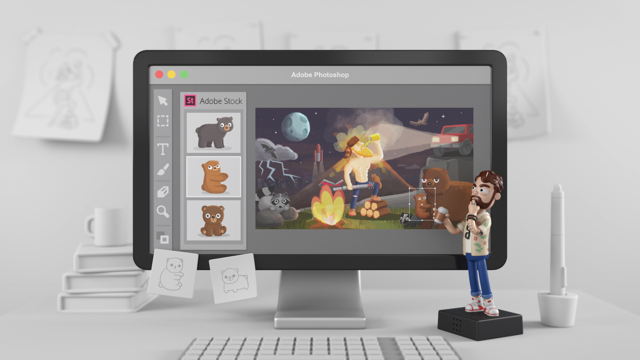 “We turned an everyday situation that pretty much all designers can relate to into a campaign for Adobe Stock,” explains Achtung! mcgarrybowen creative director Daniël Sytsma. 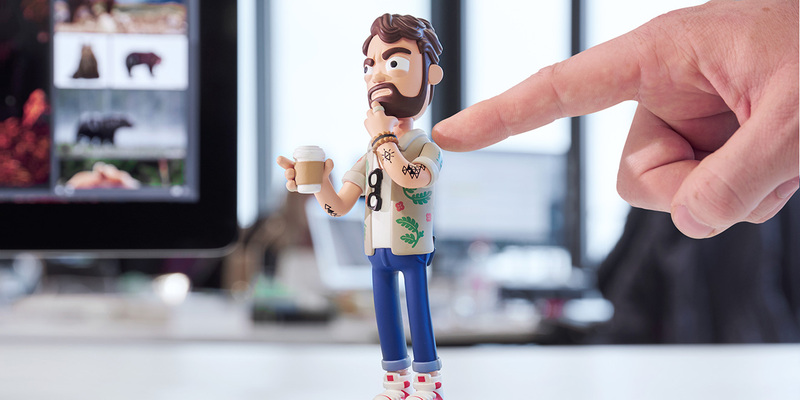 The bearded, coffee-toting unit was inspired by the limited-edition toys strewn across agencies throughout the world. Why not add to them a tribute to the tricky dynamic between designers and indecisive ADs? Features include geometric tattoos, limited-edition sneakers, skinny jeans, a notebook and a prize reflective scowl. Better still, all this helpful feedback comes unsolicited. 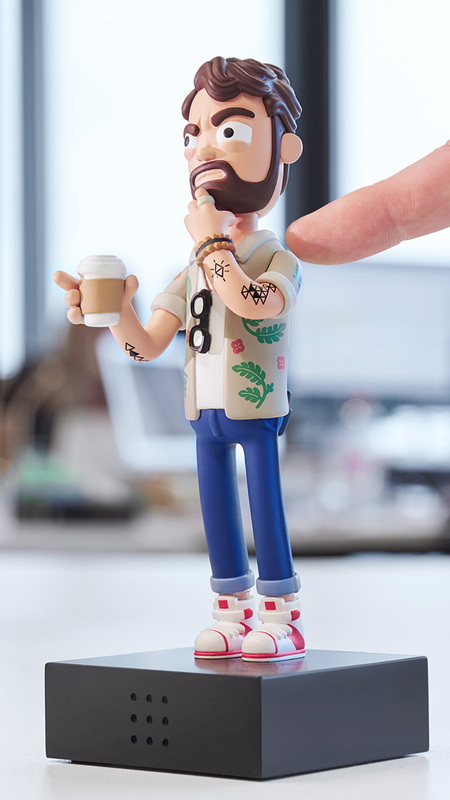 The Hovering Art Director is motion-activated, making him worryingly realistic. “Yes, H.A.D. is basically a collection of all the art directors we’ve ever worked with before,” Sytsma admits. And he comes in classy Adobe Stock “collectible” packaging. Designers can win the Hovering Art Director—assuming they want another one—by submitting their own “hover” lines to hoveringartdirector.com. The most original entries (judged by actual hovering art directors) will be rewarded. The contest launched May 8 and will continue for two weeks.